It has been a very tough year for Chinese telecommunications giant and smartphone manufacturer ZTE. We’re not going to rehash the specifics of the ZTE ban, suffice to say that it’s back in business now and keen to herald its return with a brand new flagship smartphone boasting high-end specs. 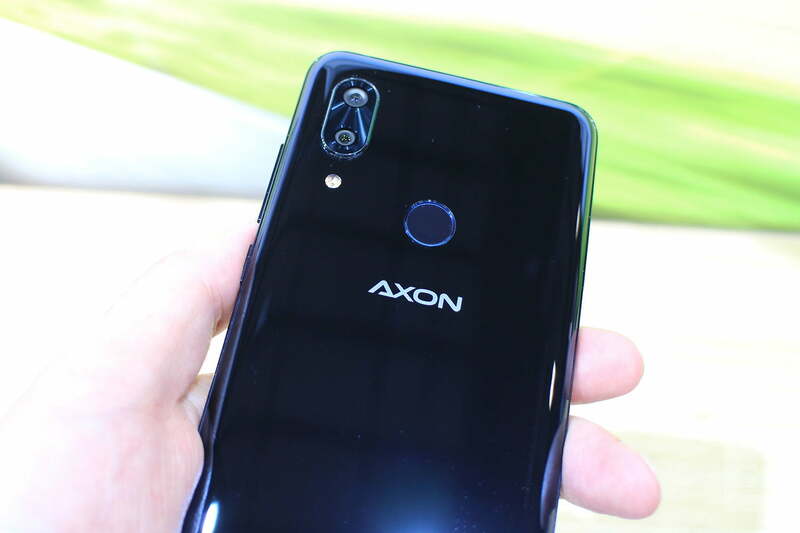 Though it’s unlikely to ever land stateside, the Axon 9 Pro will be released across Europe after its unveiling at IFA in Berlin. The ZTE Axon 9 Pro isn’t going to win any prizes for originality. It joins the long list of Android phones that have adopted a notch in the top of the display, despite still having a chunky bezel at the bottom. Flip it over and you’ll find a dual-lens camera module at the top left, much like a certain Apple device we know. It’s a familiar glass sandwich design with a metal frame, but it feels lightweight and comfortable in hand. The finish is described as 2.5D hardened glass on the front and 3D tempered glass on the back – a case is definitely advisable. There’s also a fingerprint sensor on the back. You’ll find the volume rocker and power button on the right spine and there’s a USB-C port on the bottom edge. There’s no audio jack here, so it’s an adapter or Bluetooth for headphones. The ZTE Axon 9 Pro isn’t going to win any prizes for originality. The star of the show is the 6.21-inch OLED display. It has a respectable 2,248 x 1,080 resolution, which is plenty sharp, as well as an 18.7:9 aspect ratio. It’s a big display and it looked good during our short time with it, but ZTE was keen to talk up a feature called Axon Vision. It’s a chip that improves the screen’s color accuracy. The chip is also capable of processing up to 500 megapixels every second, so it can smooth out lower frame rates to reduce blur, upscaling from 24 frames-per-second to 60 fps. We watched a few videos that showed off the HDR and a split-screen comparison of the color and processing improvements. The difference is clear to see, with standard unprocessed content appearing a bit washed out and fast movement causing blurring. The colors in the processed video really popped and it was blur and judder-free. This upscaling works for games as well as movies, so it will be ideal for first-person shooter fans or racing game junkies. Having just come from a hands-on with Sony’s Xperia XZ3, which sports an OLED screen that really wowed us, the Axon 9 Pro was a bit underwhelming by comparison. It’s still a very good display, but it didn’t quite strike the same high notes. Bolstering that fingerprint sensor on the back, ZTE has packed in a 20-megapixel front-facing camera with face detection for swift unlocking. The main camera on the back pairs a 12-megapixel lens with a fairly large f/1.75 aperture and optical image stabilization, with a 20-megapixel wide-angle lens. ZTE has added a couple of modes in the camera app for portraits and for sports, which employs artificial intelligence to track moving subjects. It’s a promising setup, but we found the camera app a little slow to load and respond when we tried it out. We’ll reserve judgement until we can take it for a spin with final software and in a range of environments beyond the brightly lit show floor at IFA. As it’s 2018, every phone manufacturer is talking up A.I. and, beyond the camera here, it’s also used to automatically shut down apps, remove files, and optimize battery life to maintain peak performance. That’s something else we need to take some time to test out. We’re sold on the potential of A.I. in phones but the practical impact doesn’t yet match the hype. There’s certainly no shortage of raw power here as ZTE has paired the Snapdragon 845 with 6GB of RAM and there’s 128GB of internal storage. It feels zippy enough scrolling around. ZTE has almost stuck with stock Android, but it’s Android 8.1 Oreo, not Android 9.0 Pie. A stock Android 9 phone with these specs would have been a more compelling prospect, but we appreciate the lack of bloatware. It’s an impressive package, but price is obviously key to its chance of success. The battery is impressively big at 4,000mAh, though it does have that large display to power. It supports the latest Qualcomm Quick Charge 4+ standard, which is relatively rare right now, and it means you can almost fully charge your phone up in an hour. There’s also Qi wireless charging support. We think the battery life will be a selling point here, and the Axon 9 Pro should easily see you through a day and beyond. While there are no plans to bring the ZTE Axon 9 Pro to the U.S. it will start rolling out across Europe and some other markets in September. It’s an impressive package, but price is obviously key to its chance of success and at 650 euros (around $750), the Axon 9 Pro has some stiff competition from phones like the OnePlus 6, Asus Zenfone 5Z, and Moto Z3 Play which are all significantly cheaper. We’re not convinced it will turn ZTE’s fortunes around because it looks like every other Android phone taking notes from Apple, but we can’t wait to test it properly and see if it can prove us wrong. The unique design of ZTE’s Axon 7 with the metal dual front-facing speaker grilles showed some originality, and although we didn’t like the dual screen Axon M much, at least it showed an attempt to innovate. The Axon 9 Pro’s main problem may be a lack of individuality, in that it will struggle to stand out. We know ZTE has a patent for a double notch design, with notches that could house front-facing speakers, and it saw the Axon M as a first step towards flexible display phones, so we’re sure there is more innovation to come, maybe even as part of the 9 series. We’ll keep you posted and put together a full review of the Axon 9 Pro just as soon as we can.